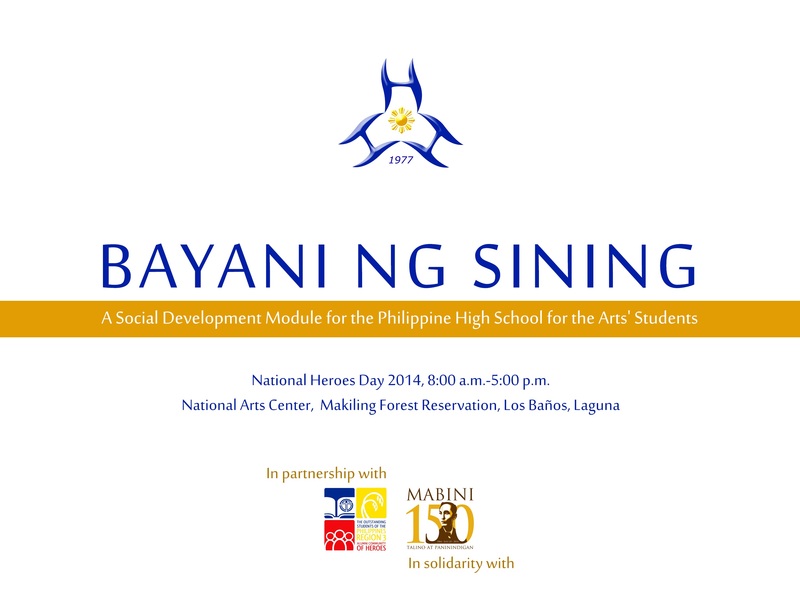 A Seminar for the students of the Philippine High School for the Arts in connection with the National Heroes Day will be held today August 25, 2014 at the National Arts Center in Los Baños, Laguna. Historian Xiao Chua will be one of the guests. Dr. Vim Nadera, school director initiated the event.